Expressing care is the foundation of family relationships (and other relationships, too). It’s not enough to believe you care for each other. You have to show it. 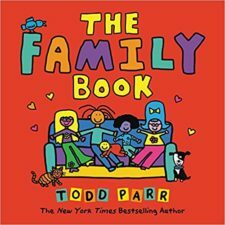 This section invites you to explore how your family can express care to each other. What Does It Mean to “Express Care”? Be dependable: Be someone I can trust. Listen: Really pay attention when we’re together. Believe in me: Make me feel known and valued. Be warm: Show me you enjoy being with me. 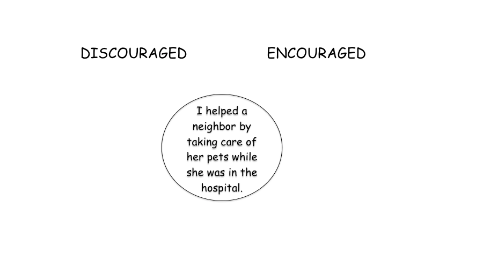 Encourage: Praise me for my efforts and achievements. Pay attention. Focus on your children or teens when they’re talking about things that matter to them. Put away your cell phone. Follow up with young people when you learn they’re going through something, rather than waiting for them to bring it up again. Make time for lightness. 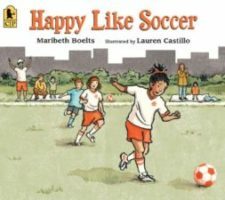 Share in some humor, fun, and laughter amid the practical tasks. Ask follow-up questions so you both know you’re interested and tracking. Find satisfaction in doing things for and with your child, even if these things wouldn’t otherwise be important to you. Ask them what they want. What are they comfortable with? Is it okay to give them a hug if no one is around? If just family is around? Adjust. Instead of a hug, give a pat on the shoulder or back. Caring words might be enough when physical affection is off limits. Respect boundaries and privacy. A hug before they head out the door for school may go over better than a hug in front of all their friends. Spend time together—and not just doing chores or homework. A few minutes of undivided attention lets them know they’re important to you. You enjoy being with them. Do physical things together. Play basketball. Run. Build something. Work out. Do what works best for your family. Keep smiling, joking, and laughing together—even if it means laughing at yourself. Try not to take it too personally. Don’t assume that a rejection one day will mean the same thing will happen tomorrow. Remember that kids are working through all kinds of feelings. Take a quick quiz to reflect on how you express care in your family. Use the results to explore new ways to show each other you care. Youth* Ask a parent to set up a Family Quiz Code. Click here if your family has a Family Quiz Code. How Do You Show You Care in Your Family? Different families express care to each other in different ways. The ways we do it can depend on our individual personalities and preferences, our backgrounds, and the ages of our kids. Sometimes it depends on the day! But we all need to know—and show—we care about each other. Use these discussion-starter questions to talk about it together. If you have trouble getting started, check out these talking tips. Tell about a time when someone wasn’t really listening that led to a funny moment. It might be in your extended family, among friends, at school, or at work. When are times you’ve felt close as a family? Where were you? What were you doing? What made that time memorable? What sacrifices have others made for you or your family? How have those sacrifices or investments affected your life? What’s something you really enjoy doing that you haven’t had a chance to do lately? What do you enjoy about it? Who are people you really trust? What do they do that helps you trust them? What are meaningful ways that you express care in your family, culture, or tradition? Which of the five areas of expressing care are most comfortable for you? Which areas are most challenging? How has expressing care changed as your kids have grown up? How have you adjusted? What are ways you maintain your warmth, dependability, and interest when your kids do things that you really don’t enjoy—or even that you disapprove of? Expressing care is the foundation of family relationships. More than just saying we care for each other, these family strengths describe specific ways we express—and experience—care with each other. These activities help your family be more intentional about how you express care to each other. These activities help you explore the ways you count on each other in your family—and, in the final activity, how you rebuild trust when someone lets you down. Important: Your family may be dealing with serious challenges with dependability or trust. This could include issues of substance abuse; physical, emotional, or other violence or abuse; infidelity; or erratic behavior due to addictions or mental illness. If this is true for you, please seek guidance from a trusted person or organization in your community who can work directly with you and your specific situation. Highlight the ways you depend on each other in your family. What can we really count on each other to do in our family? Then have people talk about what they wrote. Don’t critique each other’s ideas, but respect each person’s perspective. In the process, you’ll discover some of the ways each person in the family both depends on others, and others depend on them—no matter their age. When someone discloses something important, our response can deepen—or hurt—our trustworthiness. We all encounter hard things in our days. Some people experience major challenges and trauma. We need to talk about these things to someone we trust and can depend on. But how that person responds can either open us up or shut us down. This activity allows family members to reflect on what helps you trust each other and open up about the hard stuff. Get two cardboard boxes (any size). Have one with a top open, and the other with the top closed. Give each person eight to ten small slips of paper or notecards and a pencil. Then put the slips of paper in the box with the open top. Next, think about what people said or did that made you shut down, feel worse, or not want to tell anyone else about it. Write these things on separate slips of paper. Put them underneath the closed box. Gather the slips of paper in the open box that focus on things people did that helped. Sort through them. Are some the same or similar for different people? If the ideas make you think of other things, feel free to add them. IMPORTANT: As you’re doing this, don’t debate different actions; we each experience people’s responses in different ways. Things that may be helpful for some people may not be helpful for others. So just listen to each other’s experiences respectfully. Then gather the slips underneath the closed box. What similarities and differences do you see in your experiences? What did you notice about yourself and each other as we did this activity? What was hard about it? What made it easier? How did the opened and closed boxes remind you of what it’s like to try to “open up” to someone else? What can we do in our family to make it easier for us all to open up to each other when we need to? Finally, create your own family list of what opens you up and what shuts you down based on all the things you’ve talked about. Post it on your refrigerator or in another place where you’ll remember to check back from time to time. Enjoy a competition to think of silly ways they could count on each other. The most powerful way we depend on each other is when we trust each other to always look out for us—no matter what happens. Many relationships won’t reach this level, but they often can in families. Here’s a light-hearted way to explore this kind of dependability. Watch together this video clip of the song “I’d Do Anything” from the classic 1968 musical Oliver! 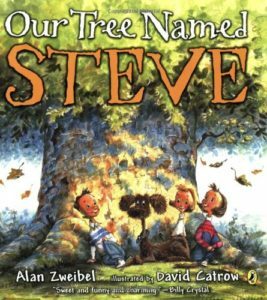 In this musical, the character Nancy asks the orphan boys what they would do for her. It gets a bit crazy! At the end of the activity, vote for the ideas that were silliest, most impossible, grossest, or other categories that fit your family’s personality. If it fits your family’s comfort level, end by affirming that you will love and look out for each other, no matter what. Talk about experiences you’ve had in the past that give you confidence in that trust. List rules that help your family be confident in depending on each other. Brainstorm a list of “rules” you have in your family that you depend on each other to do because you care for each other. These might be things like, “We don’t hit each other” or “We show up for each other’s events when we say we will.” Let everyone contribute their ideas without debating them. Write them all on a sheet of paper. After you have 15 or 20 rules written down, talk together about which three or four “rules” are most important for helping you know you can really depend on each other. Be sure that everyone (not just adults) agrees that these are things they will do and that they need each other to do. At the top of a new sheet of paper, write: “We can depend on each other because we will . . .” Then list the three to four rules you have set for your family. Decide how you’ll respond in your family when people let you down. Think of something that might happen that would break one of your dependability “rules” (which you developed in the first activity in this section). As a family, discuss what you would do if this rule or expectation is broken or isn’t met. How would you expect people to admit the mistake? Would they, for example, be expected to apologize? Or do something else? How would you expect people to make up for what they’ve done? What else might the person need to do, if anything, to restore your family’s trust? We know the dangers of distracted driving. Distracted relationships are also dangerous, though in very different ways. When we’re always distracted, family members can get the message that other things are more important than they are. We think to ourselves: If they really cared, they’d really listen. In reality, it’s easy to get distracted—sometimes out of habit, sometimes because of stress, sometimes because of the beeps from our smartphones . . . there are lots of reasons. The result is that we too often half-listen to each other. Quick Tips: Download these ideas to help you listen better to each other in your family. This two-part activity invites your family first to identify distractions that get in the way of really listening to each other when you’re together. Then you develop a “conversation contract” to help you deal with distractions so that everyone feels heard. Think back on times in the past week when family members really listened—and when they didn’t. Come together as a family. Bring some sticky notes (such as Post-its) or some small sheets of paper as well as some pens or pencils. Brainstorm at least five or six times when your family was together in the past week. (It could be times when just a couple of family members were together, if that works better for you.) These might include meal times, riding in a car, walking, watching TV, doing homework, playing a game, walking a dog, doing chores, or just hanging out. Write each occasion on a separate sticky note or sheet of paper. A 1 would be: No one listened at all. A 10 would be: Wow! That was a fantastic conversation. Agree together on what number to write for each activity. Then put all the activities with a score of 1 to 5 on one side of a table. Put those with a 6 to 10 on the other side of the table. Now focus on those times that you scored 1 to 5. Look at each activity and ask: What was going on during these times that made it hard to listen to each other? What were people doing? What was distracting people? Write your ideas on sticky notes and put them beside the activity note. Continue until you’ve talked about all the activities for which you scored 1 to 5. Look across all those activities. Were there any patterns you saw across many of the low-number activities? For example, you might have said that phone calls or text messages kept interrupting or distracting. Write stars on the sheets with distractions that came up a lot. Now look at all the activities with a high score (6 to 10). What made those times really work so that you had a good conversation and really listened? What was different about them? After you’ve talked about each of the activities, star anything that made a difference across different times family members really listened to each other. Compare the lists of things that got in the way of listening and things that made it easier. What could you do as a family to reduce distractions? What could you do to make good conversations happen more often? Use what you discover for the next activity: The conversation commitment. When you will or won’t turn off smartphones, televisions, or other distractions. What to do when someone is busy and can’t listen well right away. Write your commitments on a large sheet of paper and post it on your refrigerator as a reminder of what makes for great conversations. One of the ways improv comedy works is by using a technique called “Yes, and. . . .” (It’s used other places, too.) Regardless of what other actors say or do when you’re improvising, you don’t disagree, say “no,” and take a different course. Rather, you say, “Yes, and. . . .” This approach accepts the other actor’s idea and builds on it, rather than shifting the focus. The same thing can work in our families. By saying “Yes, and . . .” we listen to and build on each other’s ideas, rather than just pushing against them. Here’s a game to practice “yes, and . . .” conversations. Someone reads each of the story triggers below. Then one person says, “yes, and . . .” and adds to the story. The next person does the same thing. Keep going until you’re completely stumped, or you’re laughing too hard to continue. The person I most admire in the world is __________ because they . . . If I won a $1 million prize, the first thing I would do is . . . When you’re done, think together about how “yes, and . . .” might help you listen better to each other. When would be good times to try it? When others believe in us and express interest in us and things that matter to us, we feel like they’re really paying attention. It reminds us that we really matter and are valuable and important to them. It brings us closer together, and it gives us confidence to take on new challenges or work through difficulties. In the busyness of our everyday routines, it can be easy to forget to notice each other, celebrate each other’s gifts, and remind each other that we’re appreciated. These activities give you a chance first to learn something new about each other (and to reinforce things you already know). Then it helps you think together about how you can express your interest and care in encouraging and supportive ways. Play a game to help you think about the ways family members respond and adjust to each other. Have one family member leave the room, then change one subtle thing about themselves without telling it to others. This could be something like untying a shoe or putting on glasses. It has to be something that others can see. They then come back in, and the others try to guess what’s different. But DON’T say anything. Rather, when you know, leave the room and make the same adjustment yourself—or do something similar. What were some of the easiest things to notice? What were harder? Why? What was it like to try to guess what others did? What was it like to have people trying to guess what you had changed? In our relationships with each other, we notice things about each other and adjust—even if no one says anything. What are some ways we’ve adjusted when someone else needs us to? When have we not noticed something someone needed? What happened? What might we do to notice better what others need us to pay attention to? What would make it easier for us to adjust when someone needs us to? We all get into patterns, and it’s easy to take each other for granted. When we think we know someone really well, we can stop paying attention to how they’re growing and changing. They may feel like they’re not being seen (or important) anymore. We’re all changing all the time. When people notice and remember, we feel more valued—and closer to each other. Plan a “change-it-up day” when everyone in the family tries to notice at least three positive things they hadn’t noticed before about each other. Write them down so you remember. These positive things may be as simple as noticing a new pair of socks or commenting on how studious someone is. Then share what you learned with each other. Listen to what each family member really cares deeply about. What are you really passionate about? What gives you energy and joy when you do it? When do you get so caught up in an activity that you completely lose track of time? Those passions or interests that create that focus and energy may be your “sparks.” Though we may not all be able to say right away what our sparks are, thinking about them and talking about the things that really interest us can deepen our relationships, motivate us to learn and grow, and give us a sense of purpose in life. Set aside time to ask each other about your sparks. If you have a lot of time, you can have everyone talk about their sparks during a shared time. Or you can plan time to focus on a different family member’s sparks until everyone (young and old) has had a chance. How did you discover or learn about this spark? How do you feel when you’re focused on this spark? What gets in the way of your spending time on this spark? How might others in the family help you focus on developing this spark? Write letters to thank each other in meaningful ways. Saying thank you is a powerful way to show affection and keep warmth in a family. It reminds us that we aren’t taken for granted. But not all thank-yous are equal. Some ways of saying thank you are more meaningful than others. Write it down. Sometimes it helps to write things down—not on Twitter or in an email, but with pen and paper. Writing it down brings out more-lasting positive emotions. Use this activity to practice showing each other what you notice that really matters and that you appreciate. Share your letters with each other. You may have someone read their letter aloud, or the recipient can read it privately first. What was it like to write this letter? What was it like to receive it? What did you learn about yourself in doing this experiment? In addition to writing notes, what are other ways you show each other that you believe in each other? Decide what you can do together as a family to notice and celebrate what you appreciate about each other in the next week. Practice showing appreciation to each other. We can say we love each other “warts and all”—and it’s usually true. But it’s also easy to obsess on the warts, or the things that bug us. Yet we’ll all be happier if we focus more on what we like and appreciate in each other than on things that annoy us or that we don’t like. This activities gives you practice in showing appreciation to each other. Bring everyone in your family together to tell each other what you really appreciate about each other. Have each family member take turns sitting in the middle of a circle while everyone else says things they like about them. Then switch. Have people write qualities they like about each other on slips of paper—without writing who they’re thinking about. Put all the slips in a bowl and draw them. Guess together which quality matches which person. What was it like to be the focus of everyone’s attention? What was it like to hear what other people appreciate about you? How does it help you in your everyday life when you know other people in your family believe in you and appreciate things about you? What are other ways we can show each other what we appreciate without doing a special (or awkward!) activity? 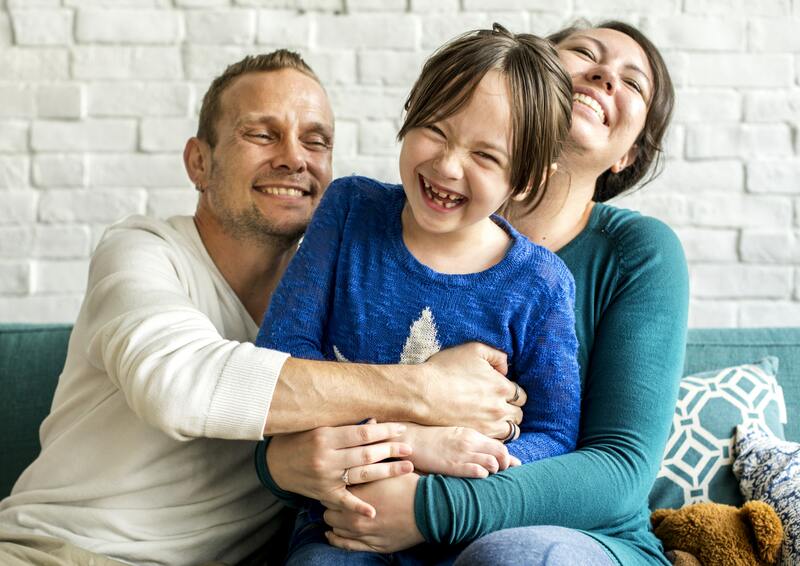 Virtually all parents want warm, caring relationships with our kids. And most of us experience that kind of warmth some or a lot of the time. But relationships can get cool. That can happen when we’re dealing with problems, distracted, stressed, or disconnected. Our relationships can also change when our kids start to be more independent during the teen years. These activities give your family a chance to try five ways to express warmth for each other in some new and intentional ways. Then you can pick one you’ll keep working on so that it becomes an ongoing part of your family life. Discover ways to show affection that work for each person in your family. Affection involves words and actions that show others that we like them and enjoy being together. It’s the foundation of warmth in relationships. Affection comes easily in some families. They like to say, “I love you,” and give each other hugs. It can be more challenging in other families. It can also get harder as kids grow up. The same kind of hugs and snuggles that parents use to show affection to young children may not be welcomed by teenagers. The ways we show affection in our families often changes as children grow up. Have a family meeting. Bring note cards, Post-it notes, or small pieces of paper and some pens. Give each family member several note cards and a pen. Individually write down ways you show affection in your family—one idea per card. Include both things you say (such as “I love you”) and things you do (such as giving hugs). Have each person come up with as many as they can. Then have them think about which ones they’d like the family to do more or less. Then have everyone share what they wrote. As you talk about each idea, have each person indicate whether they wish the family would do this more, less, or the same as you do it now. On the left: Things someone wants to do LESS. In the middle: Things someone wants to do the SAME amount. On the right: Things someone wants to do MORE. Important: Not everyone has to agree. We all like different things at different times. Your goal is to find ways to express physical and verbal affection with each person in ways they appreciate and that make them feel respected. Make up a funny word that people will say when someone does what you’re trying to stop. Or . . .
Impose a five-cent fine for each time a person says or does something you’ve agreed not to do. Save the money for a treat (a small one!) or give it to charity. Decide together something on the MORE side that you’ll focus on for the next few days to see how it goes. (Focus on things that everyone agrees would be good to do.) Write it on a sheet of paper that you post somewhere everyone can see as a reminder of what they can do to show their affection for each other. Enjoy laughs together—for a purpose. The funny thing about humor is that it has serious benefits. It increases warmth and affection in relationships and helps us see new possibilities. People who used humor in the midst of conflict feel more connected afterward.6 But when we get busy, it’s easy to forget to be light-hearted with each other in our families. Tell your favorite jokes or riddles. Recall funny stories about family and friends. Watch a movie, a TV show, or YouTube clips that give everyone belly laughs. Try doing silly skits about funny memories. Think of funny nicknames for each person in the family—focusing on their quirky and positive qualities. Be kind (in secret) for a day to see what happens. It’s always good to be kind to each other. But sometimes when we go the extra mile for others, they feel obligated to do something extra in return. Spend some time today with everyone doing secret acts of kindness—nice things that people might not even notice. Find small and subtle ways to make other family members’ lives easier. Maybe you’ll start the coffee for them or take out the garbage when it’s their turn. How did doing or receiving the secret acts of kindness affect your mood or your stress? What does the experience tell you about keeping warm relationships in your family? Saying “something nice” isn’t the same as saying “something encouraging.” “Something nice” can discourage if it doesn’t help us move forward as we take on challenges large and small. But when we get encouragement right, it can be a huge motivator to spur us to keep going. 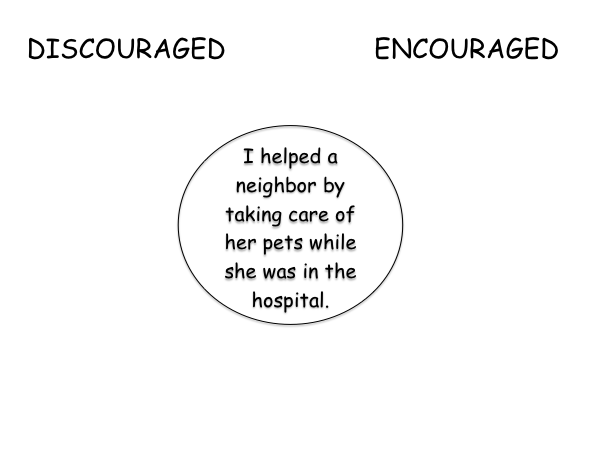 In fact, the word encourage originally meant “to courage.” These activities explore the ways we encourage—or discourage—each other in our families. The ways we praise can either boost or burst motivation. Does praise matter? Some people say they don’t need people to praise them—they know when they’ve done something right. Some say that too much praise gives you a big head. Others say that praise motivates and reinforces efforts and achievement. It turns out that both can be true, depending on the type of praise. Some praise really does encourage and motivate. Other praise can reduce motivation and effort.This activity gives your family a chance to think about how you praise each other in ways that are most encouraging. As a family, brainstorm a list of four or five things each person has done really well in the past week or so. These could be big things or small things. Did they say or do anything? What did they say or do? How did those different reactions make you feel about what you did? How did they make you feel about doing the same kind of thing in the future? On the sheets of paper, jot down things that encouraged you (on the right under “encouraged”) and discouraged you (on the left). What, if anything, do you notice? Download the Praise Pointers. Read through it together. Now think about how these “praise pointers” were used or not used in the examples you’ve been talking about. Add ideas about what people could have done that would have been more encouraging or motivating. Talk together about the things that motivate each family member. If there are things you do a lot in your family that discourage or don’t really motivate, talk about what you might do differently in the coming week. Sometimes we face unusual difficulties or challenges. Prepare “Encouragement Jars” for each other to use as reminders during those tough times. We all have times when need a boost of encouragement that motivates us to keep going in the face of obstacles. We rely on each other to support us through those times. We can do that in person, and we can also share tangible reminders of our support that people can turn to when they need it. Here’s a way to do that. Don’t show what you’re writing to the person who will get it. Instead, fold it in half and place it in the person’s jar. When everyone is done, talk about the other ways people encourage each other when things get tough. Then have people keep their Encouragement Jars in a place where they can pull out a note when they need it. Encouragement Cookies. If you enjoy doing cooking projects together, turn your encouragement notes into “encouragement cookies.” (If you need one, here’s a recipe you can use.) Or you can find your own recipe. Instead of inserting “fortunes” in the cookies, put in the encouragement notes that you create for each other. Serve Others. Turn this into a family service project. If you know someone who’s dealing with a difficult challenge, work together as a family to create an Encouragement Jar for her or him. Send it to her or him or, better yet, make a personal visit to offer your support. Benson, P. L. (2008). Sparks: How parents can ignite the hidden strengths of teenagers. San Francisco, CA: Jossey-Bass. Keltner, D., Capps, L., Kring, A. M., Young, R. C., & Heerey, E. A. (2001). Just teasing: A conceptual analysis and empirical review. Psychological Bulletin, 127(2), 229–248. What Does It Mean to Express Care? Expressing care is the foundation of strong family relationships. When we care for each other, we show that we like each other. We want the best for each other. We do this when we . . .
Are dependable: Be someone others can count on and trust. Listen to each other: Pay attention to each other and have open, respectful communication. Believe in each other: Share with others that they are known and valued. Are warm to each other: Let each other know that we like being together. Encourage each other: Praise each other’s efforts and achievements. How Do Families Express Care? 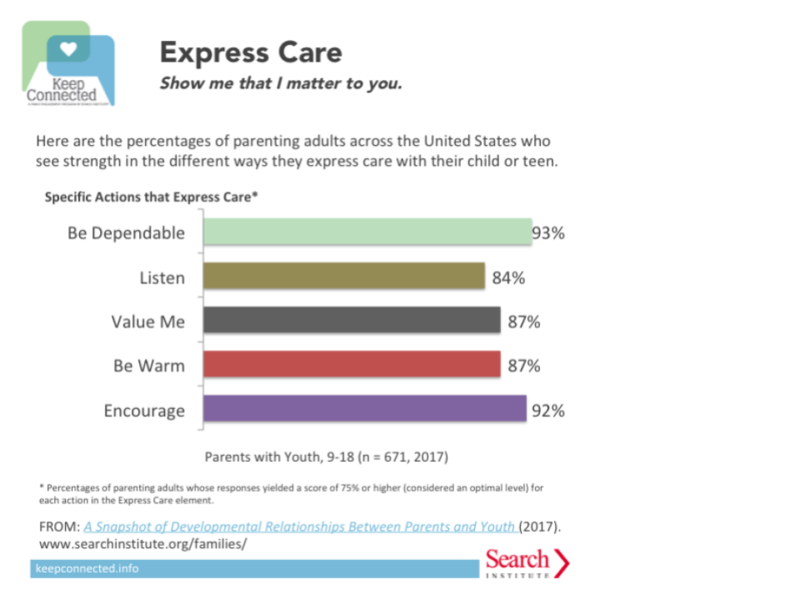 Expressing care is the strongest element of developmental relationships, according to Search Institute surveys of parenting adults. All five express care actions were reported consistently by more than four out of five parenting adults who participated in the survey. For more research on expressing care in family relationships, check out Search Institute’s research on families. Take the Express Care quiz to explore the ways you show your kids you care. Why Does Expressing Care Matter? Have better social skills and relationships. Child Trends (1997). Parental warmth and affection. Child Trends Databank. Finkenauer, C., & Righetti, F. (2011). Understanding in close relationships: An interpersonal approach. European Review of Social Psychology, 22(1), 316–363. Kerr, M, Stattin, H, Trost, K. (1999). To know you is to trust you: Parents’ trust is rooted in child disclosure of information. Journal of Adolescence, 22, 737–752. VanderVen, K. (2008). Promoting positive development in early childhood: Building blocks for a successful start. New York, NY: Springer. Vangelisti, A. L. (2004). Introduction. In A. L. Vangelisti (Ed. ), Handbook of family communication. Mahwah, NJ: Lawrence Erlbaum.